View More In Log Splitter Parts & Accessories. 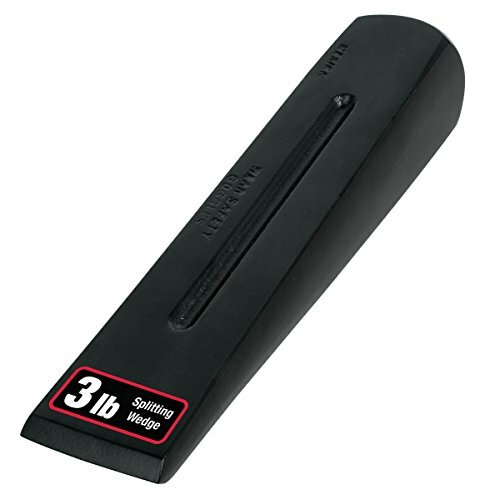 Truper 30961, WG-3, Wood Splitting Wedge, 3-Pound. Be ready for winter-The must have tool for splitting firewood. 3-pound Wood Splitter. Drop forged head, heat treated for durability. Store different sizes in shed, truck, shop, cabin, and rv. Stock up on quality Truper Tools for other projects today. Truper has been in the hand tool manufacturing business for over 40-year and is by far the largest Mexican company in its field. Truper relies on the most advanced modern and efficient technology to guarantee the optimum quality and value of its products and demanding service needs of the company's global customers. If you have any questions about this product by Truper, contact us by completing and submitting the form below. If you are looking for a specif part number, please include it with your message.